The compact camera industry has been declining steadily since 2010, shrinking by as much as 24% in 2018, as more users rely on their smartphones. But in the past two years, 360 camera manufacturer Insta360 (Shenzhen Arashi Vision Co.) has generated five times revenue growth, taking it to profitability. Thanks to its robust performance, Insta360 has raised $30 million from investors in the most recent funding round, and are targeting an IPO in 2020. In this post, I provide an analysis of their strengths and weaknesses. Innovative Features: Insta360 is usually at the forefront in launching new features that are not only innovative but very useful. In 2016, they launched the Insta360 Nano, the first 360 camera for smartphones. It became so popular that it created a new class of 360 cameras and other companies scrambled to copy their design. In 2017, Insta360 was also the first to add image stabilization to 360 cameras, and remarkably, they were able to add it via firmware update. In 2017, Insta360 also launched the Insta360 Pro, the first professional 360 camera with an amazingly easy workflow (with only one SD card). In some cases, Insta360 also adopted features that were first announced by their competitors. Rather than ignoring the competition, they added these new features to their cameras, often via firmware update, thereby adding value to their products. Marketing: I believe that what the 360 camera industry needs most is not additional cameras or features but better marketing. 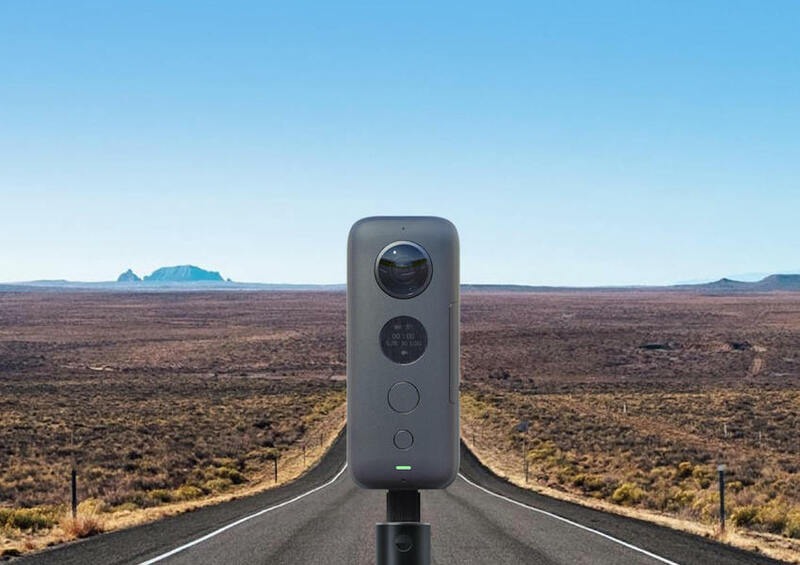 Even in 2019, most consumers do not understand the benefits of 360 cameras, and mistakenly believe they are only for 360 photos and videos. Insta360 has been reaching out to non-360 shooters far more aggressively than any other 360 camera company. Thanks to their efforts, an increasing number of photographers and videographers are discovering 360 cameras. Customer Service: Since 2007, I have used cameras from many manufacturers (Nikon, Sony, Fuji, Olympus, Panasonic, Pentax to name a few), and Insta360 has easily been the most responsive among them. Many traditional camera companies are very slow to respond to issues, and usually deny problems, as what occurred with the Nikon D600 oil spot issue. Insta360 on the other hand responds to customer feedback right away. Their staff are constantly responding to their users through their Facebook group, and are actually knowledgeable when solving technical problems. Their CEO himself is very hands-on and is also active in responding to users in their Facebook group. Insta360 is dominating the 360 camera industry but one possible risk is that they may be moving too fast. For example, many professional users argue the Insta360 Pro was not ready when it was launched, and it took several months of continuous updates before bugs were resolved one by one. Some professionals complained that they felt as if they were beta testers. Insta360 is also releasing camera models at a very rapid pace (they have been releasing two or three cameras a year). This could cause customers to hesitate about purchasing a camera, worrying that their purchase may become obsolete if there is a new camera is just around the corner. Notwithstanding Insta360’s potential weaknesses, they are consistently a step or two ahead of their competition and I believe they are poised to become the “DJI” of the growing 360 camera industry. I totally agree, my friend! I think this is the new way of doing things given that these are specialized “ground-breaking” products. We are use to very large “big name” manufacturers (Canon, Nikon, Sony, etc) introducing a new camera models (of traditional design) with very specific specs and then offering very little support other than the basic performance from the original specs. On the other hand, specialized product companies may release a product that is not quite finalized but listen to the specialized users who then can best suggest how to improve the product. The fact that Insta360 listens to these customers and works with them to improve the product may actually be a better approach than a big enterprise that puts out a product and then ignores client suggestions. I think the customer has to determine what he really needs and take the step to purchase when he comes across the product that really fits his needs at that time. I have read some people say that, if they had known about the EVO, they would not have purchased the One X. But really, when the One X was introduced, the Vuze XR was already on the market. Therefore clearly, those looking for a 3D 180 solution would not have purchased the One X in the first place. Furthermore, Insta360 is not the only player and one’s ideal camera may turn out to be the one made by another manufacturer. But it still remains that a better camera will always be introduced at some point in the future – whether it’s in two weeks or in eight months. And even if Insta360 were to wait eight months, a better camera could still be introduced three weeks later… by another manufacturer ! For me it was the quality of the mobile app. I’ve tried two Kodak camera’s and the software was horrible. The Insta360 One app was good (on iOS) and improved quickly. The ability to watch, edit and process on mobile with some clever features like smart tracking made all the difference in my opinion. Good 360 hardware without the (mobile) software to get the most out of the device is doomed to fail, at least for consumer products. A good strong point (mimicking DJI) they had top professional product from which to derive advanced features and consumer level products (used to increase market share and drive the brand) into which cascading later said features. I love Insta360 but a weakness I would add to your list (that could create more success if fixed) is getting the accessories out in a timely fashion. That is my one main gripe. I have been waiting on several accessories for my One X since the middle of November and we are now less than a week from April and all I see is “coming soon” both on the Insta360 site and other places like B&H Photo’s site.